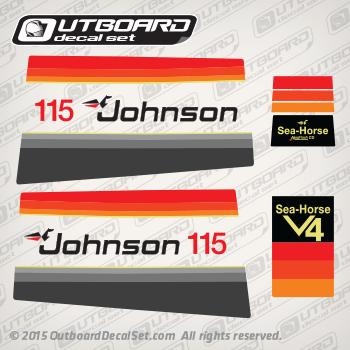 Decal set for a Johnson 115 hp decal set for V4 late 70's outboard motors. This decal kit can replace OEM part number: 0388788. 115 red numbers Stbd side.